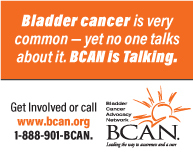 Welcome to the Bladder Cancer website! Please take a look around at the content of the journal and other features of this community portal, including joining the discussion thread about the latest challenging cases, or taking a look at the funding analyzer. @PGrivasMDPhD @koshkin85 @BladderCaJrnl @B_C_A_N @UCSFCancer @UCSF @fredhutch Congrats! Great work!